Even though I’m a denim-head, I didn’t much mind the so-called “threat” that the athleisure boom imparted onto the denim industry. On one hand, innovations come when challenges arise, and jeans as we now know them are nothing like they were just a few years ago! On the other hand, there just have been some seriously cool activewear brands out there—I’ll admit I’ve ended up really digging my growing little legging collection and even now wear some active outerwear on a daily basis too. 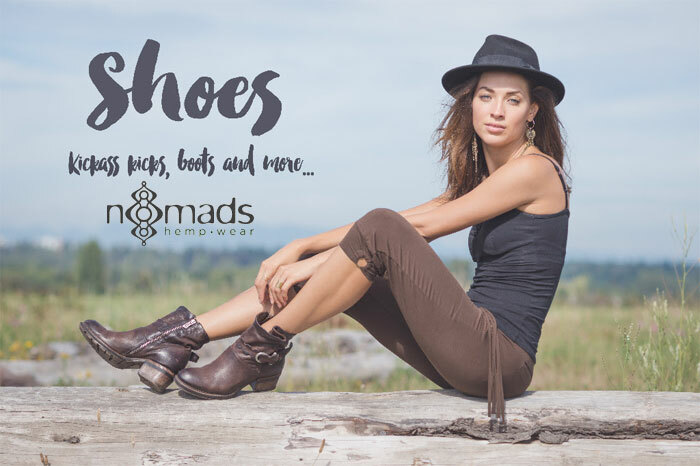 The comfort is one thing, but so many of the newest brands and styles are just so much more unique than regular apparel! 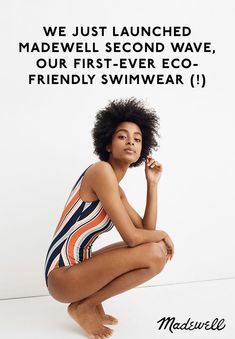 One other thing I love about a lot of activewear brands is their realization that the textile and apparel industries are some of the dirtiest out there in terms of pollution, and have made strides to adopt more eco-friendly practices. I guess it comes along with the concept of fitness, well-being and always striving to improve oneself…the environment definitely plays a part! ALO Yoga is a premium activewear brand found at large retailers such as Revolve, Nordstrom, Bloomingdales, Carbon38 and more, but they stand out in such a great way. “ALO” stands for “Air,” “Land” and “Ocean,” to begin with. They also use eco-friendly fabrics and solar panels adorn their Los Angeles headquarters, which is also paper-free. Employees are encouraged to drive eco-friendly vehicles as well, with electric car chargers offered in the parking lot. 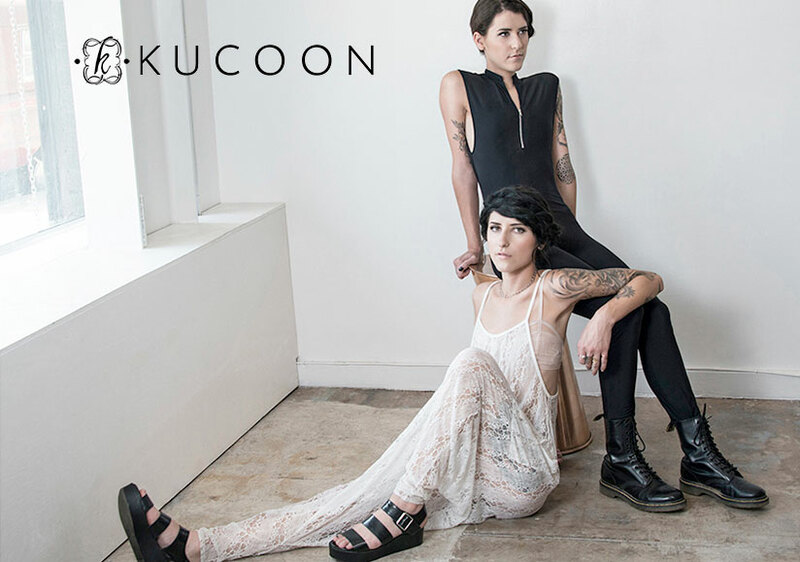 Their clothing itself is high quality and offers a modern, clean but fun touch! 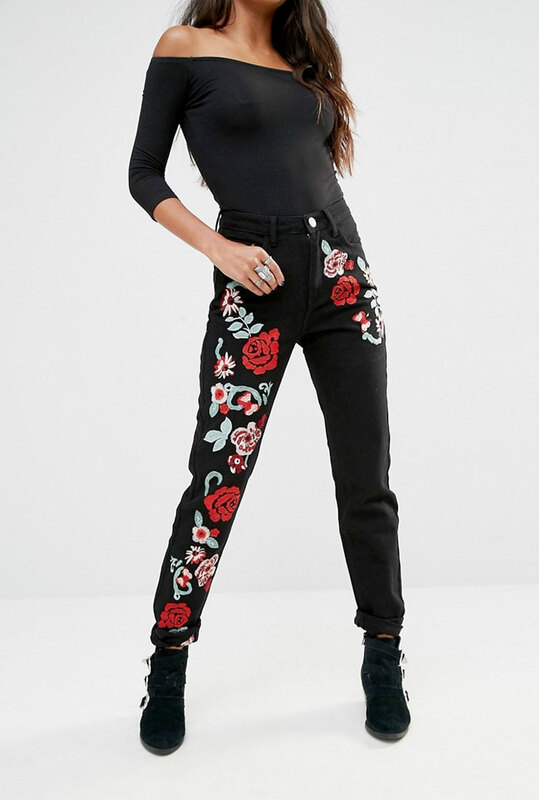 Here are some awesome pieces from Revolve, below. I remember my favorite backpacks back in high school. I would deck them out in all kinds of patches, sew trinkets on them, hang as many keychains as I could on the zipper pulls and write the names of my favorite bands (and the dates I finally saw them live) all over them with a whiteout pen. Jansport still rocks, but we’ve come a long way since then (and those little mini low-slung backpacks that came out in the mid ’90s). 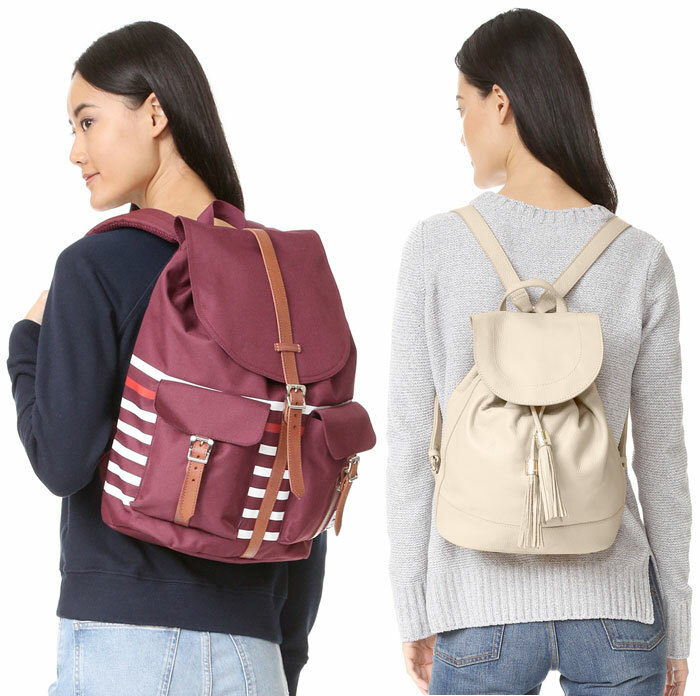 The backpack as we knew it has been modernized over the years as a legit alternative to the handbag, made in all kinds of materials from the usual canvas to swanky leather. 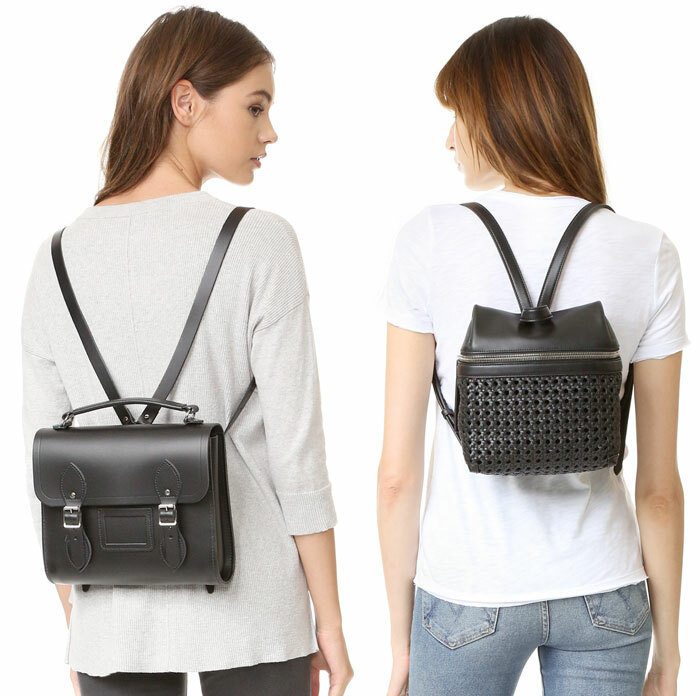 I personally have been eyeing the Rebecca Minkoff Mini M.A.B. backpack for a few months (which is going to have to be another eBay score). It’s the piece that turned me on to the idea of carrying a nice leather backpack for day trips…or just because! 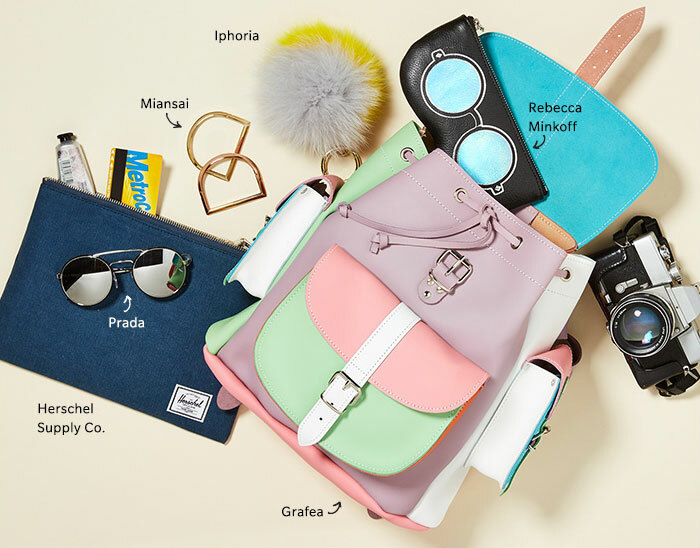 Shopbop has put together a cute little collection of some of the best backpacks they have to offer, and they certainly are all eye candy. Would you carry any of them? The leather ones are beautiful! Here are some of my favorites. 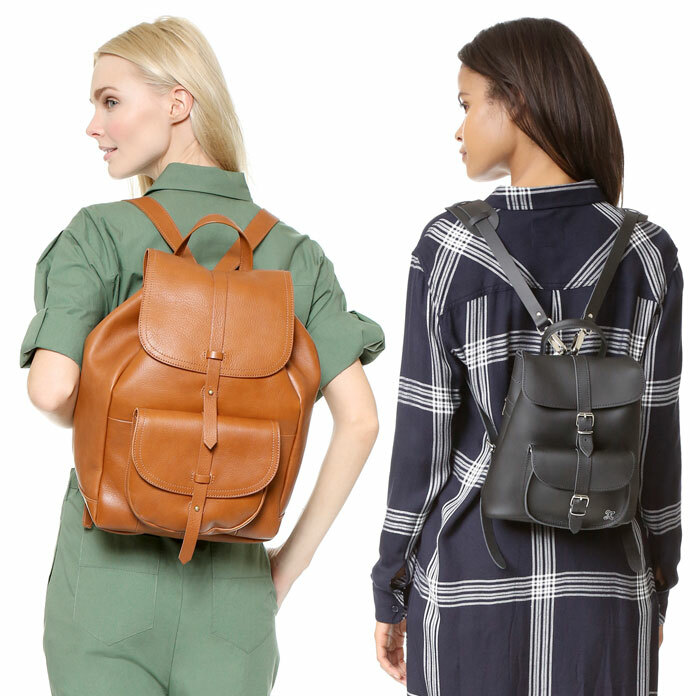 View the lookbook and shop the Shopbop backpack collection here! 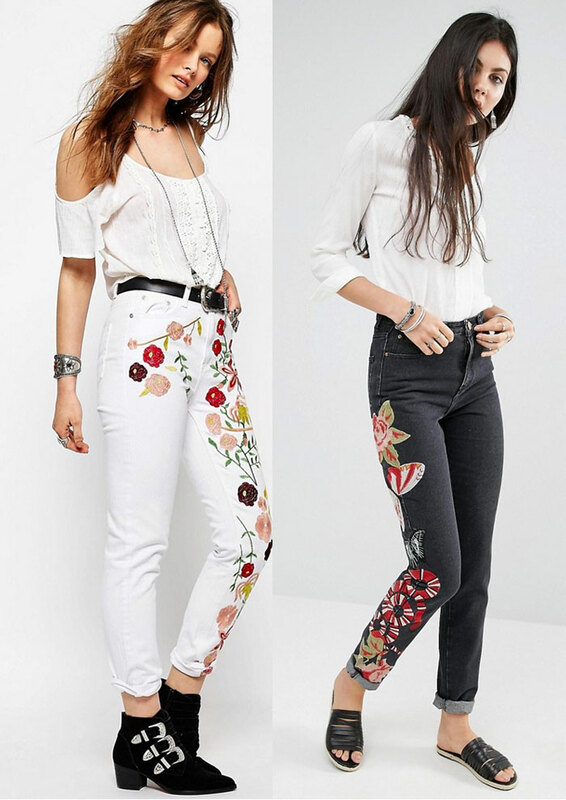 After being denim obsessed for a decent number of years already, I’ve reasonably solidified the list of my top favorite styles, cuts and details, and nothing seems sweeter when I start seeing several of those tastes combined in one beautiful package. The moto jean is a style that comes and goes, but never hides for too long…and I’m glad, because it’s included at the top of that list. 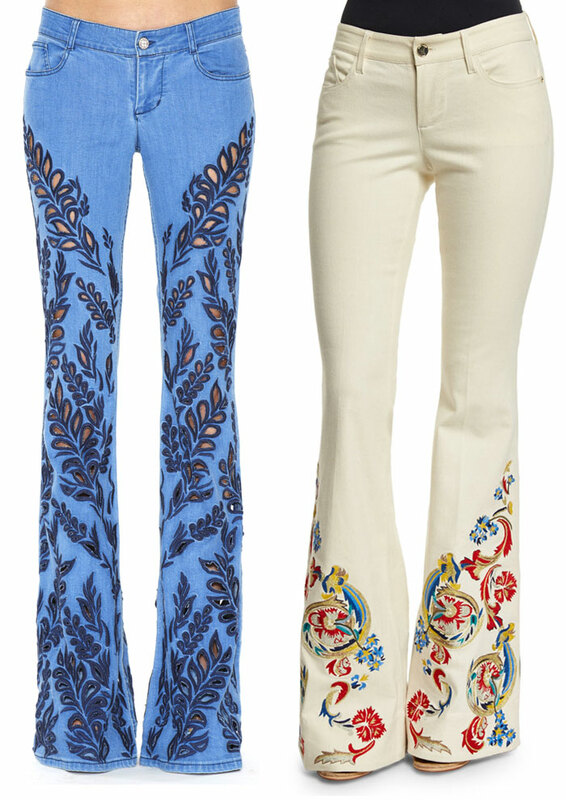 My top cut in terms of jeans is the skinny, but after the flare has come back strong from the land of the ’70s in the last two years, it’s grown on me as well. 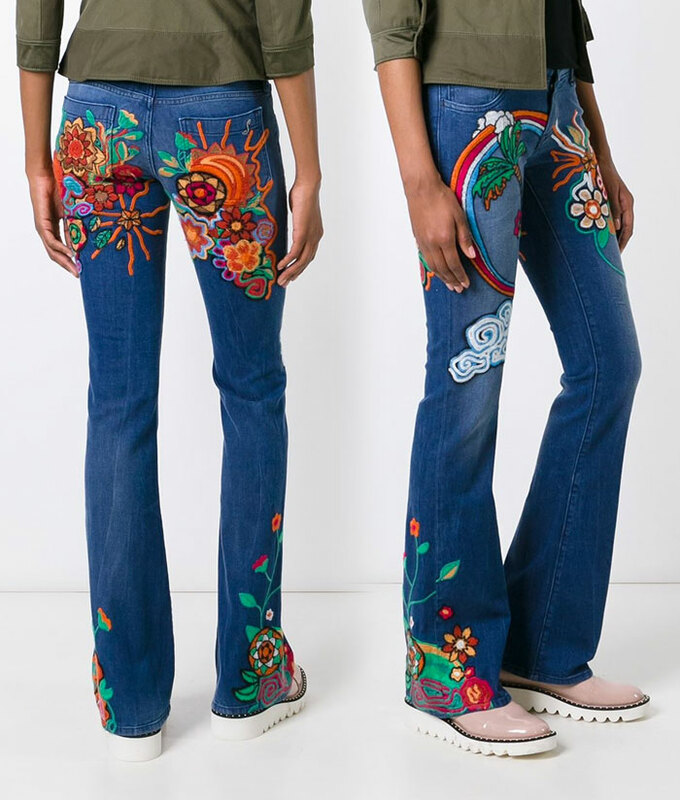 One thing I have not yet seen in the denim market is a moto flare, but leave it to veteran trailblazer denim brand True Religion to make that first step! 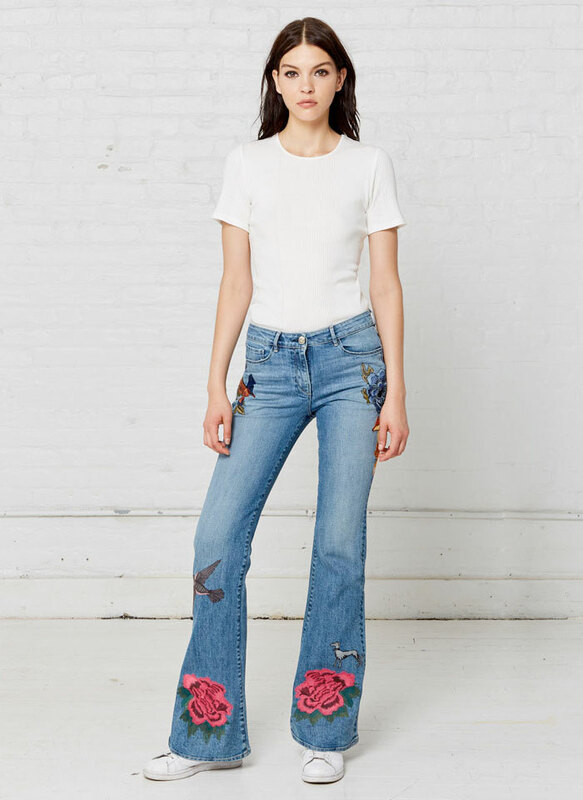 They’ve not only created a moto flare jean, the Karlie Low Rise Bell Bottom Moto Jean in Smoke Stack, but also added moto details into their bestselling Runway Legging line. 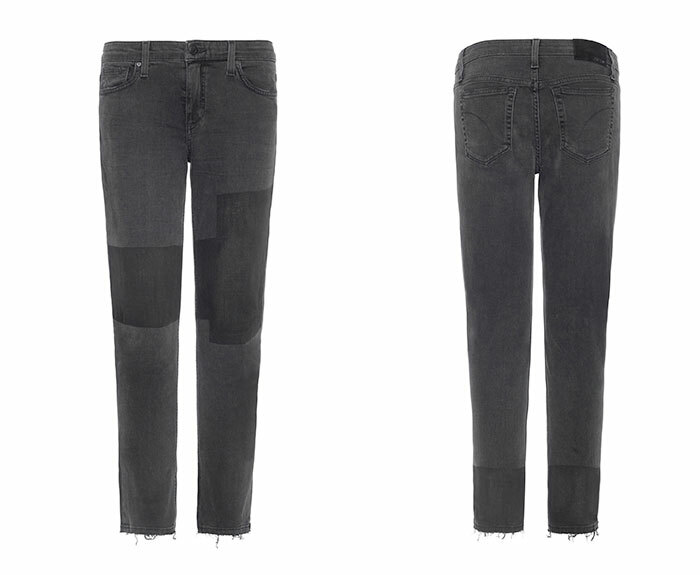 This includes the familiar legging cut but also a pull-on flare, the Runway Moto Flare in Dark Sapphire. This one is also available in a shorter inseam! I love all of these, and I think all that is left to really get me going crazy is a raw hem detail, no? OK just in case you haven’t yet noticed I’ve fallen completely in love with all the independent designers I’ve discovered at transformational music festivals, I totally have. 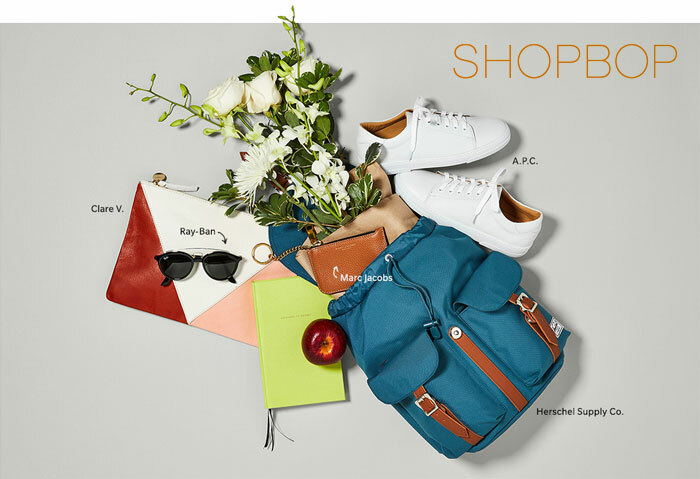 Some of the artistry and attention to detail (and love) applied to pieces from these vendors is out of this world, and the quality is amazingly unmatched in the mainstream fashion world. 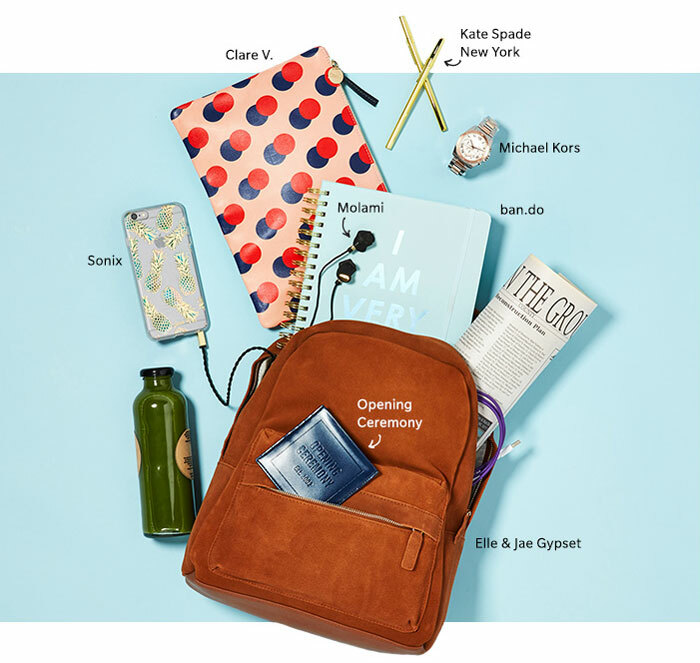 I would take any of these items over a pricey couture piece, because each item is priced reasonably, considering many are handmade with sustainability in mind and are built to last! They certainly are pretty in pictures, but when you can touch and feel pieces made from these designers they are certainly something else. The ones that catch my eye the most are those that seem to bridge the gap between whimsical festival attire and everyday apparel, because you know you will get more bang for your buck, and to me designing pieces like this seems like it would be a whole lot more challenging! 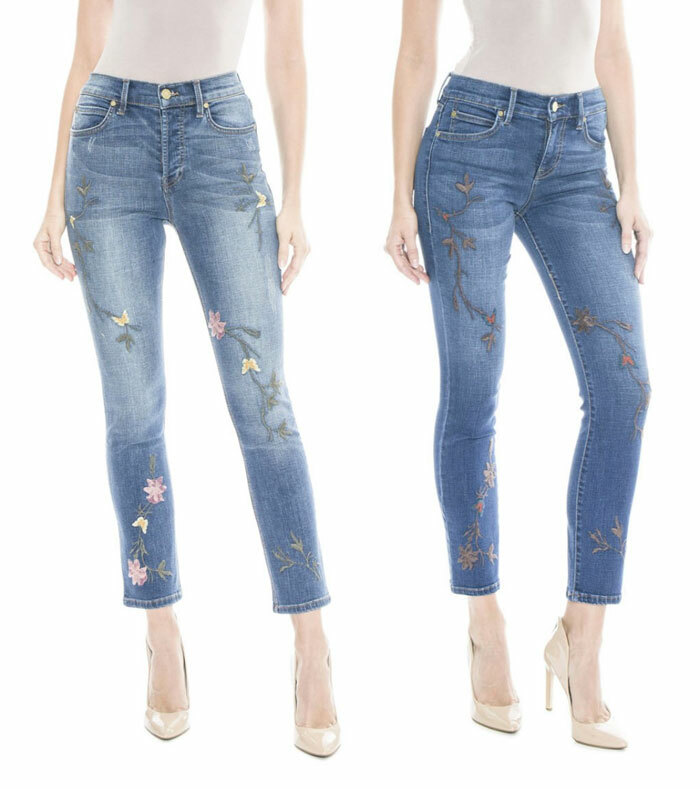 Some may think that the handful of veteran, household name brands that have well established their place in the denim markets long ago (such as 7 For All Mankind, True Religion, Citizens of Humanity or J Brand to name a few) are on smooth sailing terms in the industry at this point. However, they know just as well as the hard working, struggling up and coming brands that it’s always about reinventing and re-innovating to stay competitive and keep up with new technologies and trends. Sometimes, they might just come out with something exclusive that no other brand has done before, like a special limited edition piece or capsule collection. 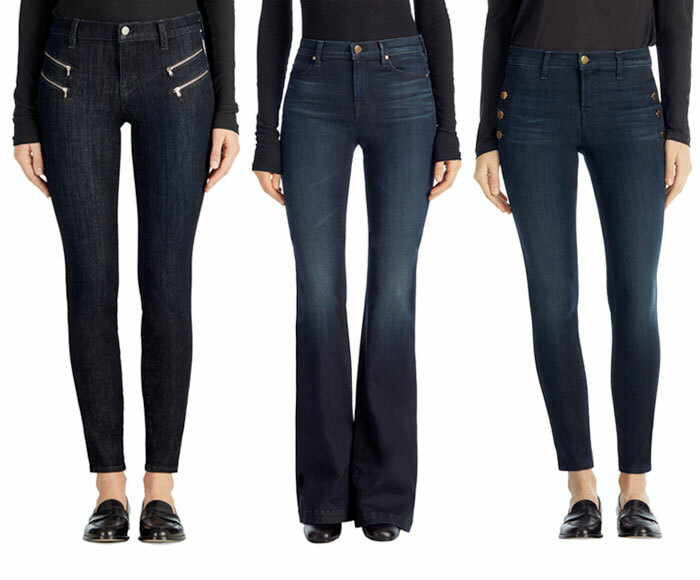 J Brand is already very well loved and always provides great fodder for me to write about on a decently regular basis, but I just noticed something yesterday that really made me go WOW! These guys have created something truly special. 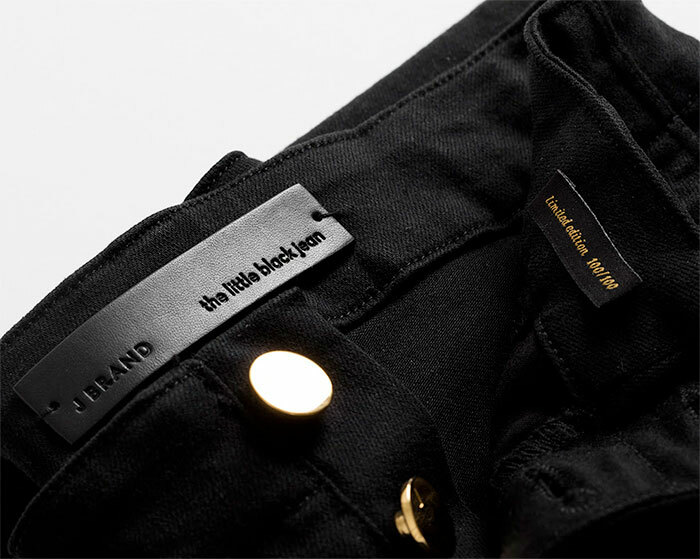 Their Gold Noir collection on its own is beautiful to look at, made up of sleek black denim with gold buttons and gilded zippers. 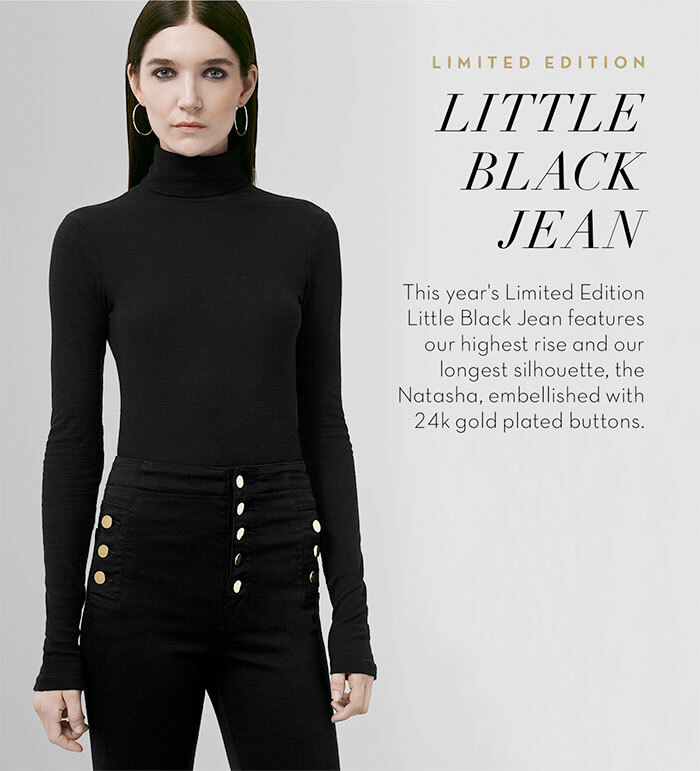 One piece, however, stands out from the pack: the Natasha Sky High Skinny in Seriously Black, dubbed the “Little Black Jean,” which is finished off with 24k gold buttons. 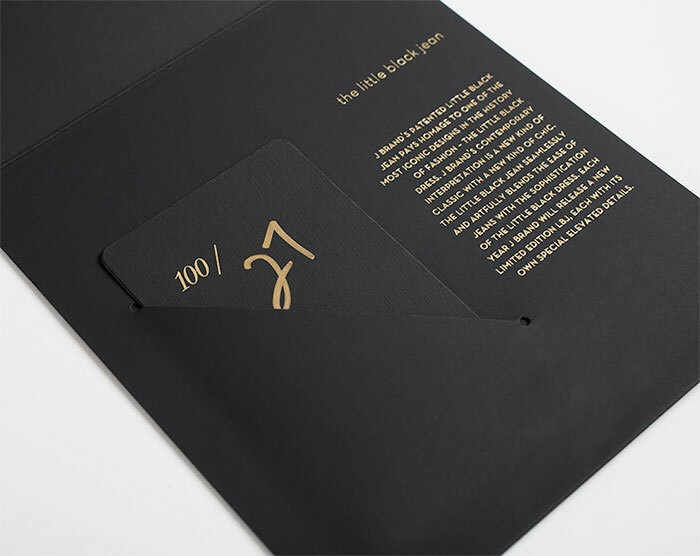 Not only that, but it’s made of fade-resistant, supremely soft stretchy black denim that “glides on your skin.” It comes with a gorgeous package including a bag and card, and only 100 were made! Each jean is individually numbered. So, if you are a die hard denim fan like me with a few hundred dollars to spare, this one will truly be a collector’s piece for quite some time. 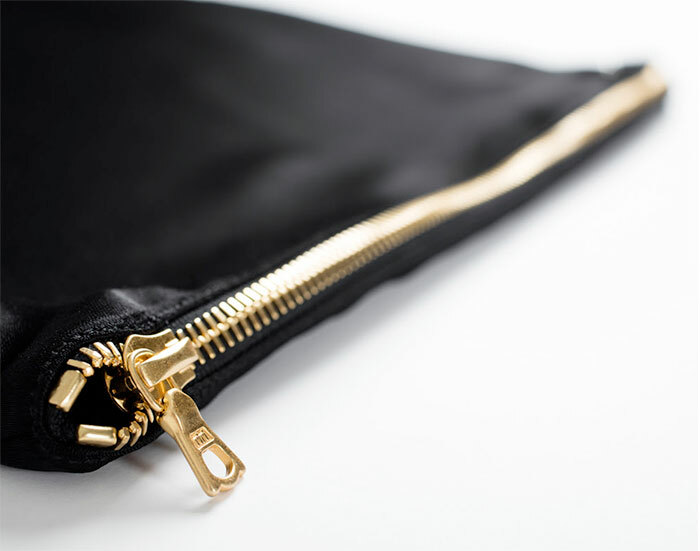 The Gold Noir collection also features four other main pieces (not in 24k gold): the Carina Double Zip Skinny Moto in Seriously Black, Zion Mid-Rise Skinny in Transformation, Carina Double Zip Skinny Moto in Resolute and the Maria High-Rise Flare in Innovation. If you count the petite version of the Maria Flare, this collection holds 6 amazing pieces. Here are the other pieces that grace and complete the Gold Noir collection! 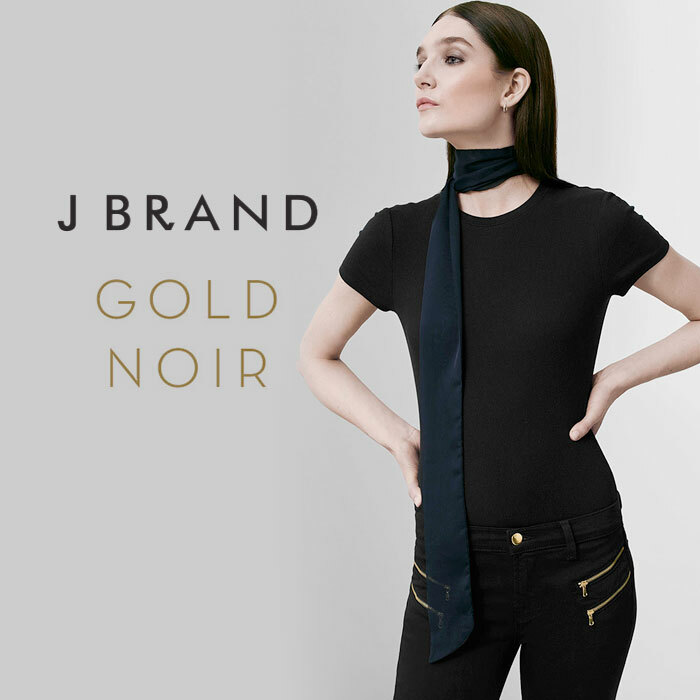 Shop the J Brand Gold Noir collection here, or jump right to the star of this post, the Sky High Skinny in Seriously Black w/ 24k Gold Buttons, here! 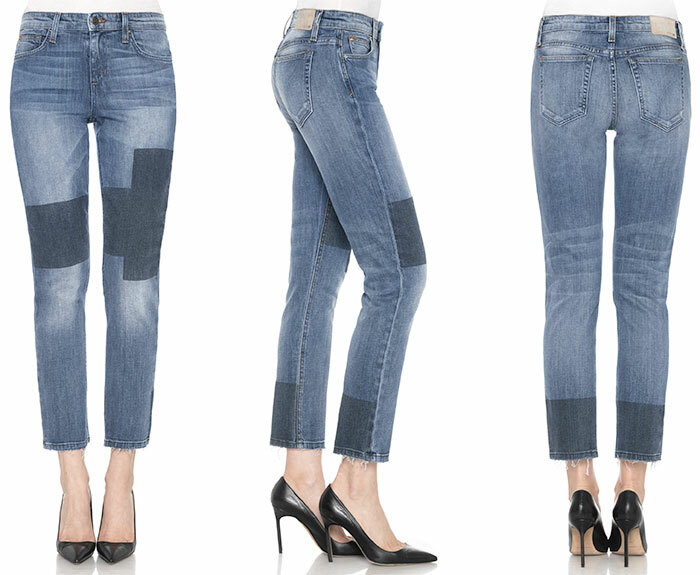 Every season brings new denim styles with ripped and distressed details, especially in the summer. However, I always feel like it’s more of a Fall staple, almost symbolizing the switch from the lively, bright days of Summer into the breakdown to darker, cooler days when many of us would rather spend our time indoors hibernating, dreaming of the next cycle into Spring and Summer. Leaves start turning brown and falling to the ground just like ripped and distressed details become perfect companions for boots, jackets and the addition of layers. 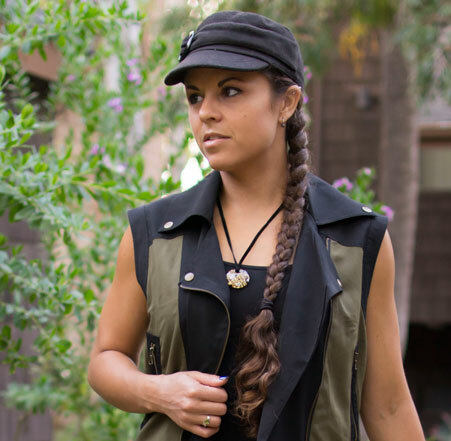 If you are like me and live in California, sometimes the beginning of Fall is warmer than our summer months, so ripped jeans can continue provide a little cool ventilation across seasons before things really cool down. Joe’s has just released their Fall 2016 collection, which does include many clean denim styles for those not quite partial to distressing, but I noticed it seemed highlighted by all sorts of new ripped or patched up pieces to welcome in the upcoming season. Apart from jeans, we also have the Lyndon Pullover in either black (Onyx) or grey (Heather Grey). 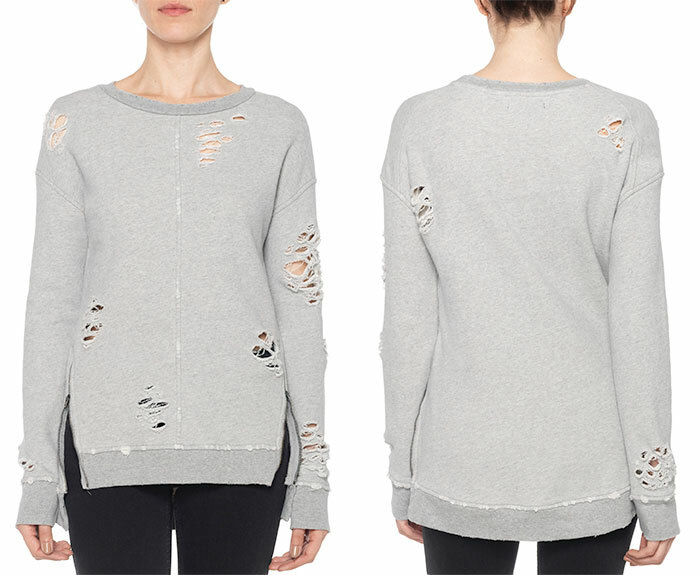 I don’t often see ripped up knits…in fact that last that I can think of is the popular ripped up star sweater from Wildfox last year! I’m sure there have been more, but it’s always an interesting style to see pop up now and then. 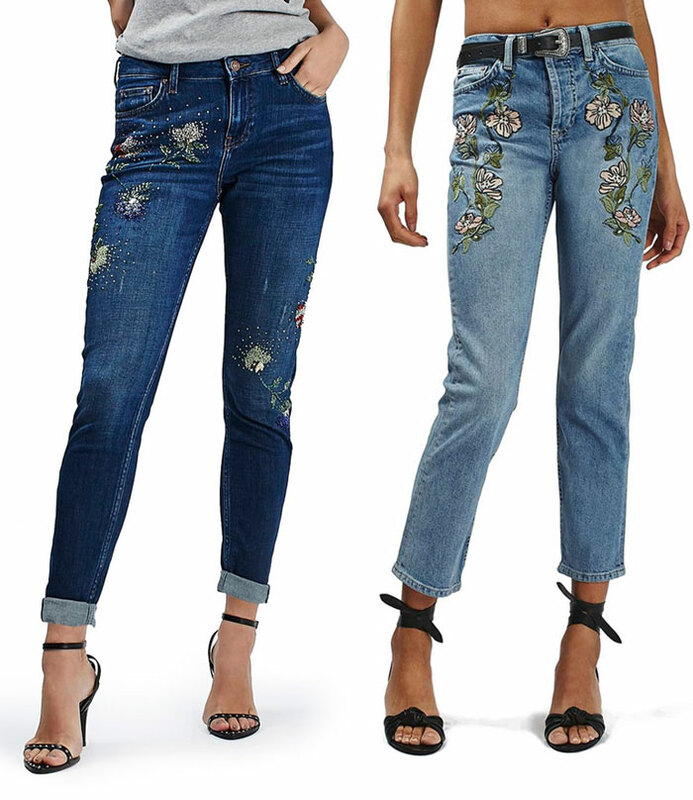 In the denim department, we see raw and undone hems continue on, which is awesome because it was my favorite recent denim trend! The Debbie Boyfriend Slim Crop in Ninette is such a classic Fall piece to me; a dark relaxed but fitted piece with a few ripped and abrasion details. The Rolled Skinny Mid Rise Ankle in Addison stuck out to me because I dig the rip detail over the left knee (something a little different than the popular knee rips this summer), and The Icon Mid Rise Ankle in Mando is a gorgeous grey jean with knee rips that would look so perfect under tall boots, or flats to show off their raw hems! If you like just some simple knee rips with an otherwise cleaner style, The Icon Mid Rise Ankle in Terri is a pretty choice (check out that wash)! 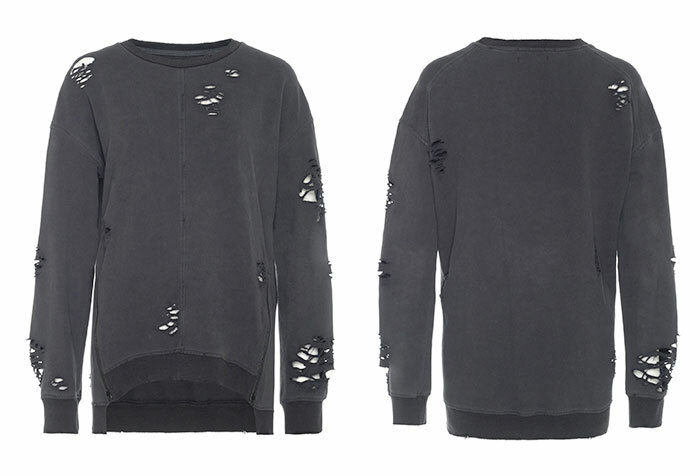 I grabbed all of the pieces with beautiful ripped and repair details…check them out below! I love them all. Shop the entire Joe’s Fall 2016 collection here.